It seems obvious that Libya is not in a fit state to hold an election, but the international community seems determined to organise one anyway, writes the BBC North Africa Correspondent Rana Jawad. 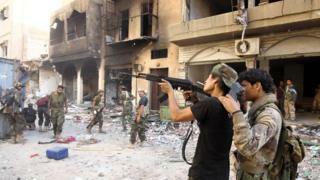 Libya’s politicians, the UN, and EU member states have been talking about it for months. Presidential and legislative elections are expected in 2018. Yet two months into the year, the only tangible testament to this has been a recent drive for voter registration. 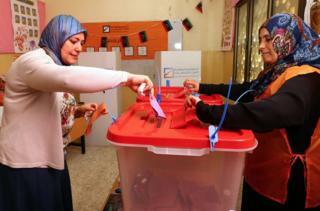 Over 2.3 million Libyans – around half of all people of voting age – are now prepared to take to the ballot box. But more than six years after Muammar Gaddafi was ousted, the country remains under the control of myriad rival armed groups. Libyans are so desperate that they are increasingly attempting the dangerous boat journey to Europe, having previously mainly helped those from other countries with the illegal crossing. Their fate hangs between two rival governments, a dysfunctional parliament, and a spin-off from an old parliament which was re-branded as an advisory body. Large militias have consolidated power in their respective regions, and the central government has no sway over them. The state is strapped for cash, and there is no real economic hope to speak of. Ghassan Salame, the UN’s envoy to Libya appointed last August, has inherited a difficult process. Reputed for his flexibility and pragmatism, he has also been talking to sections of Libyan society who were previously ignored, such as students and those living in the country’s east. Call a referendum on the constitution and hold elections within a year. But talks to amend the political agreement reached a stalemate last October, and Libya’s political and military actors are stuck in a cycle of splitting and division. Now, everyone appears to have fast-forwarded to step three. 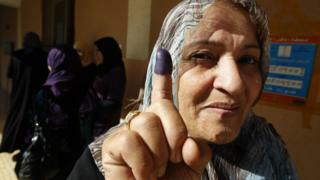 Some believe the ballot box could unite Libya. But it is more likely to tear it apart. Most peaceful elections need political maturity, functioning institutions, and state security structures that serve the nation and its people. Take one of these elements away and you have a faltering process that might work, could lead to dictatorship, or set the stage for a cycle of military coups. Libya is in the unenviable position of having none of those democratic pillars to start with. 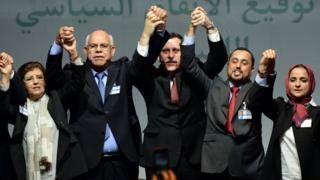 UN workers often argue that Libyans want political change to “end the stalemate”. But what will change look like without first making a concerted effort to reconcile its fragmented armed groups? “The biggest risk to holding an election today is that any result will lead to an all-out armed confrontation on a scale we have not yet seen”, a foreign consultant who works on Libya told me. The list of presidential hopefuls is expected to include the current Prime Minister Fayez al-Sarraj, and the military commander in East Libya Khalifa Haftar – who is one of the country’s most divisive figures. The lawyer and relatives of the late colonel Gaddafi’s son, Saif al-Islam Gaddafi, are trying to convince the world he is a potential candidate too. He was allegedly freed by his militia captors last summer, but has not been seen in public in three years. He is still wanted by the International Criminal Court for war crimes allegedly committed in 2011. “But we have to keep working towards a solution”, he added, after saying that France was pushing hardest of all for elections. Why encourage an election at all? You will get some version of that unfiltered response from most of Libya’s partners. The UN’s envoy to Libya, Ghassan Salame, had hoped that a tight schedule would create a sense of urgency and momentum for change. But most of the political and military bodies he is dealing with have shown willingness to work with him yet simultaneously obstructed progress. Many actors now want elections as soon as possible, in the hopes of consolidating their own power. The country needs a legal framework before polling day. 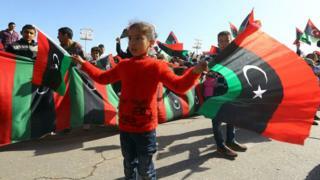 Libya’s new constitution has been drafted, but it is not to everyone’s liking, and has been challenged in court. This month, Libya’s Supreme Court ruled that lower courts had no right to take any legal action over the constitution – this paves the way for a referendum. There are few clear ideas on how to secure any kind of nationwide vote. Some UN mediators hoped that with a new constitution, electoral laws would come into place, allowing credible elections to be held. But member states were secretly hoping a ruling would be stalled, according to several foreign diplomats. That is because they wanted Libya’s transitional constitutional declaration to be amended, rather than writing a new constitution, and an election law swiftly introduced. There is a worry that a constitutional referendum could go wrong and then kill any prospects of a fresh political start in the short term. The persistent quick-fix policies for Libya’s complex issues have inadvertently prolonged the crisis. Months have been spent promoting a highly risky election which may never happen, instead of focusing on national reconciliation and strengthening Libya’s institutions. General elections brought havoc when they were last held in 2014. That was at a time when rival armed groups were less organised, and political divisions still seemed manageable. The situation today is far more precarious.